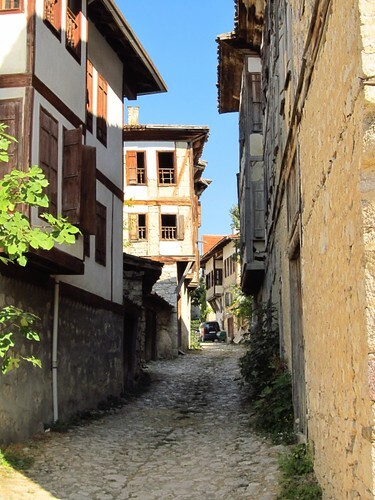 The last place in Turkey we got to visit were Safranbolu: a gorgeously restored Ottoman village. 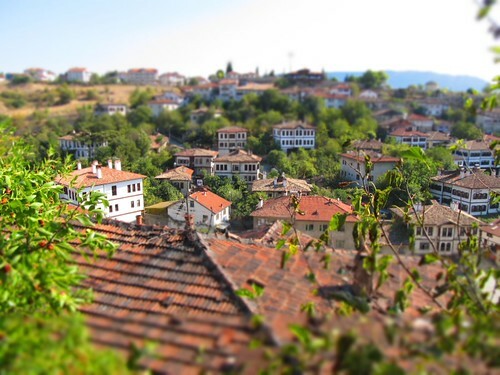 Safranbolu is tiny, but totally adorable. We spent two days wandering across the bazaar, shopping (the prices are way cheaper than Istanbul), and trying out the local food. 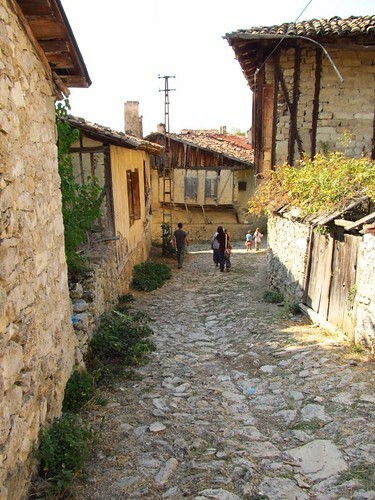 One sweet shop had a guy in a waist-frock with a tray of lokum standing outside, offering passers-by a taste. I found it funny that he offered me one every time I passed by --- which was many times a day. No idea whether he couldn't tell faces apart or he had an evil plan to get me addicted to lokum. A few days more and he would have succeeded. 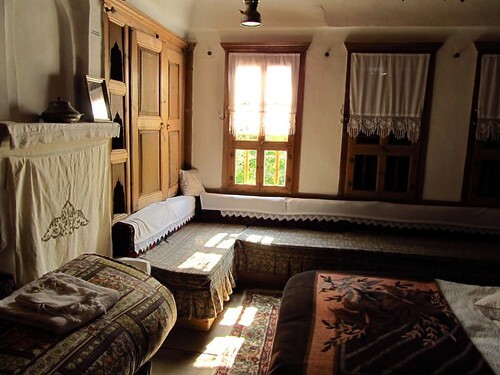 Our hostel was also a restored Ottoman home. I loved walking along the little streets with beautiful little shops selling wares that were a mix of local handicrafts and made-in-china. An apparently favourite product were wooden miniatures of the local houses -- used as boxes and sugar-bowls. 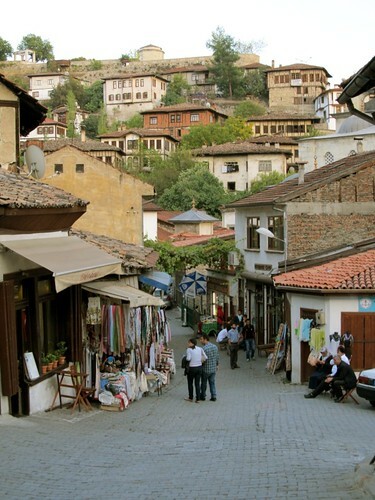 Safranbolu had a beautiful Hamam, and there were a couple of stores selling Hamam accessoires: like the traditional scrub mitts, towels and dressing robes. And soap. Lots of soap! 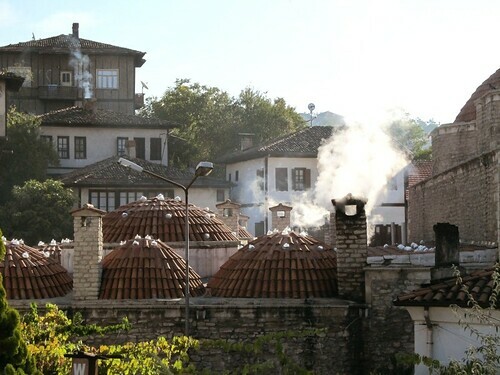 Hamam roof with glass "bulbs"
Safranbolu is famous for saffron: the little stores sell saffron, saffron bulbs, saffron sweets, saffron perfume, and of course saffron soap. And saffron tea, which is really nice to drink in the evening. After having visited each store thrice and having drank too many Sahleps, we decided to spend a day in Yörük, a village of ex-nomads. 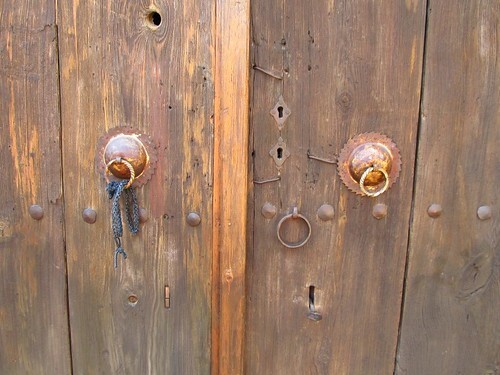 This was almost the last day of the trip, so I soaked in as much Turkish atmosphere as I could. 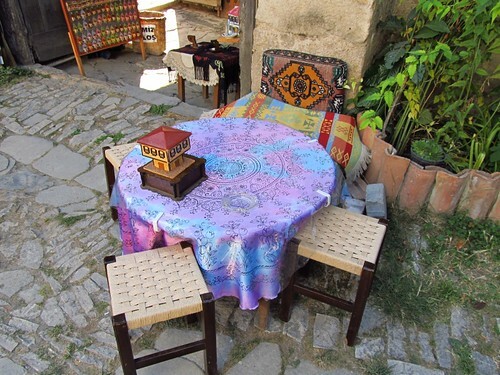 I would miss the cay in tulip-shaped glasses, the Gözlemes, the warm friendliness of the people, and the cats.